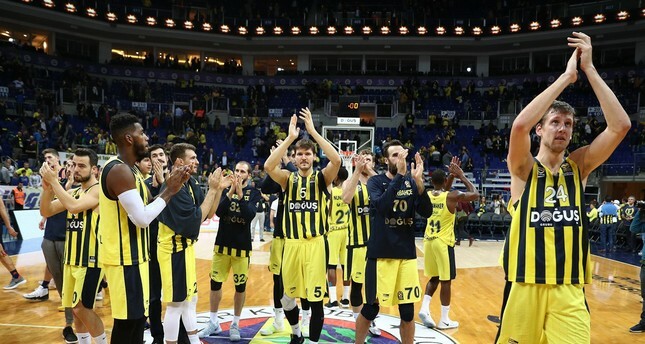 Fenerbahçe became the EuroLeague runner-up last season. A total of six teams will represent Turkey in the European basketball club competitions next season, EuroLeague announced Tuesday. Anadolu Efes, Fenerbahçe and Darüşşafaka will play in the Turkish Airlines EuroLeague, while Galatasaray, TOFAŞ and Türk Telekom will participate in the 7DAYS EuroCup. Darüşşafaka will become the third Turkish team in the Euroleague next season after winning the 7DAYS EuroCup title in the 2017-2018 season. The announcement came after a recent EuroLeague Commercial Assets Shareholders Executive Board (ECA) meeting. The board revealed the Turkish Airlines EuroLeague and the 7DAYS EuroCup team lists for the 2018-2019 season. It also reviewed the commercial strategy and agreed on the 2018-19 competition regulations.